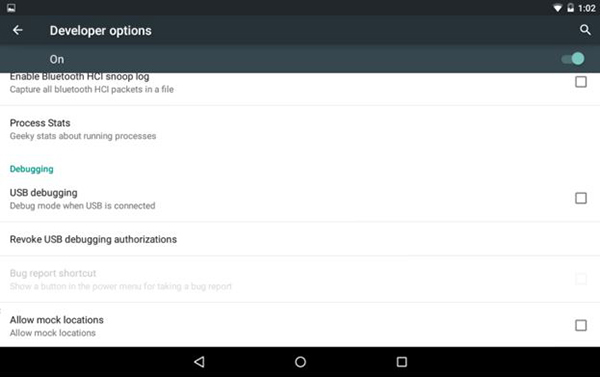 ADB is an Android project tool available for free on the Android SDK. We suggest a stripped-down version like the "15 seconds ADB installer" to avoid downloading the very large sized full SDK. Once you have downloaded the application, double click on it to start the installation process. 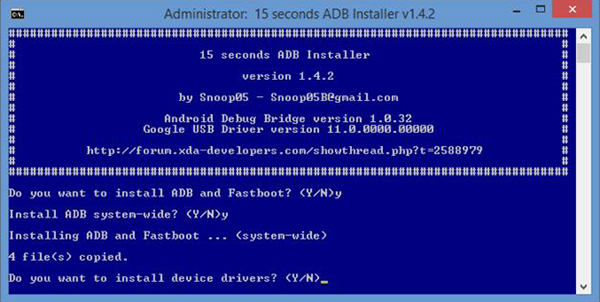 If you have never installed ADB on your PC, answer ‘Y’ to all questions. 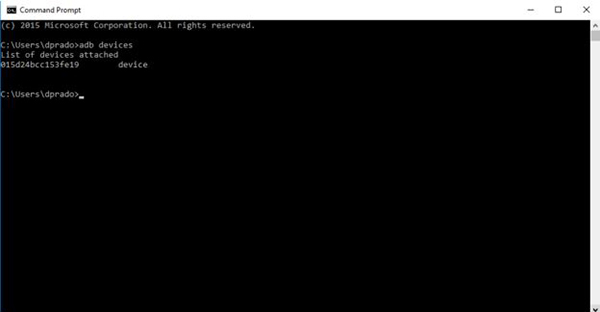 After installation, run the ADB command on the command line to check the installation. 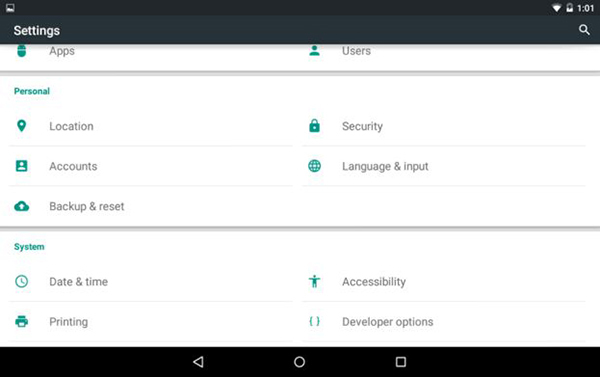 With ADB installed, it is time to enable Developer Mode on your Android device and connect it to the PC. 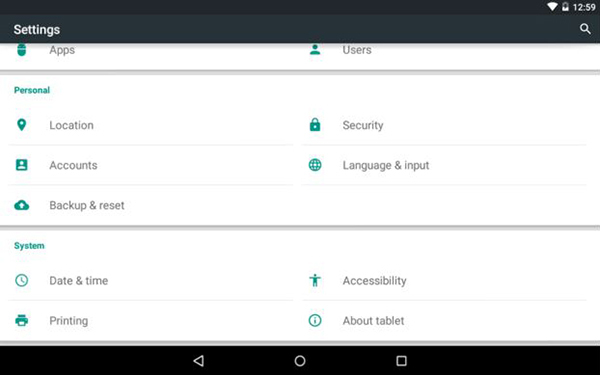 Go to Settings on Android and click on the “About tablet/phone/device” option. Scroll down to see the Build number entry and click on it seven times. As you click, you will see messages stating you are about to become a developer. When you are in Developer Mode, hit "back" and click on the new “Developer Options” option. 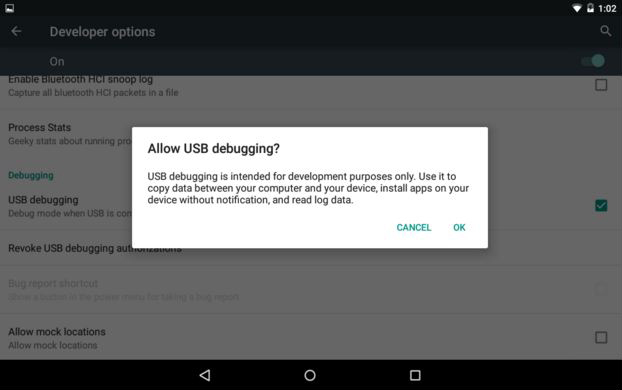 Scroll down to the Debugging section and select the "USB Debugging" option. 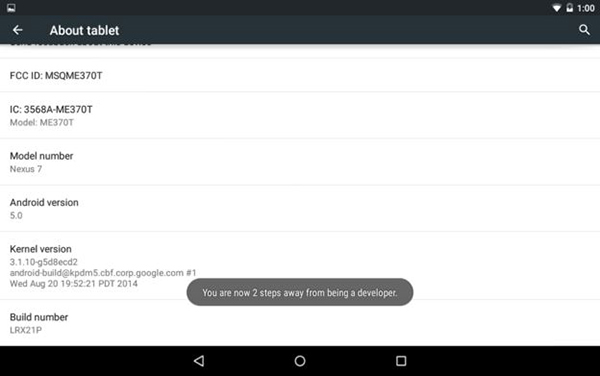 A confirmation dialog box will pop-up. Hit “OK”. Connect your device to the PC with a USB cable. You will be prompted with an authorization dialog box. Check “Always allow from this computer” and hit “OK”. 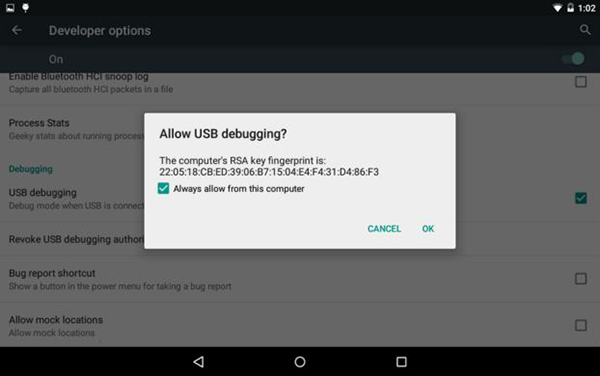 At this point, your device is ready to use ADB. 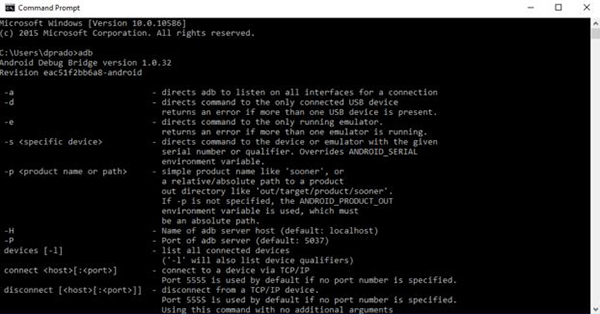 Open the Windows Command Prompt and type "adb devices". The connected device should be listed.